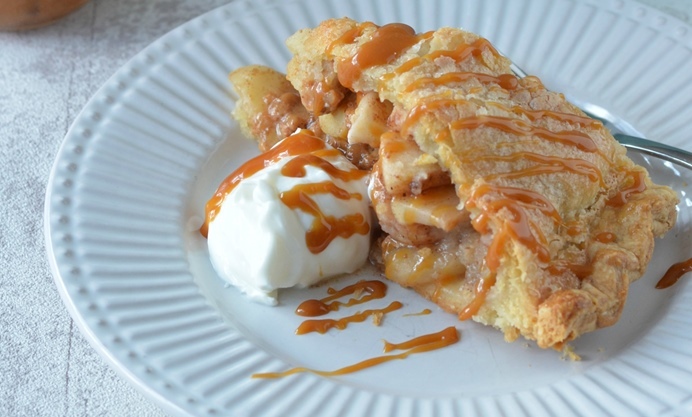 A delicious double crusted apple pie with a difference. 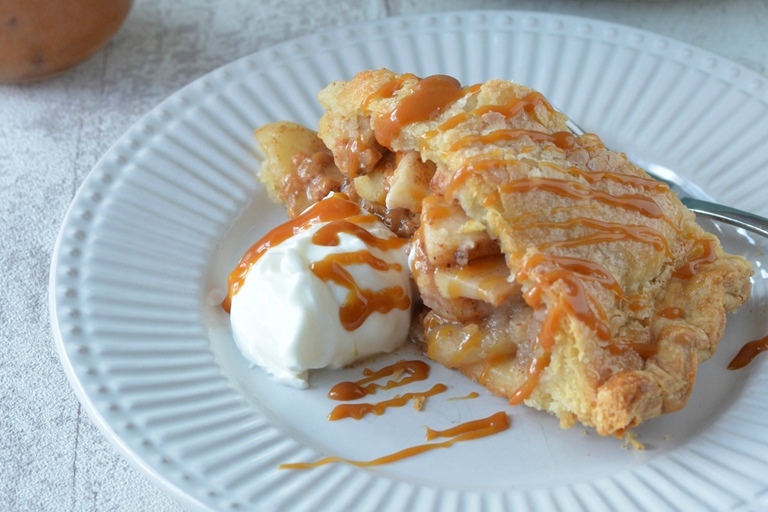 Creamy caramel and bananas make this a special dessert your friends and family will love. Banoffee Pie used to be my speciality dessert a few years ago but I haven’t made one in a while, so when I heard it was British Pie Week I thought I’d give a double crusted banoffee apple pie a bash. I’m the first to admit that I’ve not been particularly good at pastry making (my cookery teacher told me that my hands were too warm to make good pastry! ), until I discovered a pastry made using cream cheese. I’ve tweaked it over time and now it’s the only pastry that I really make (apart from for the bases of quiches and tarts where the patchwork effect goes unnoticed), and I have to admit that it really is better than shop bought puff pastry, and barely takes any longer than opening a packet. If you have cold hands make your pastry by hand, but in a stand mixer it only takes around 2 minutes to make and is so easy to roll out.